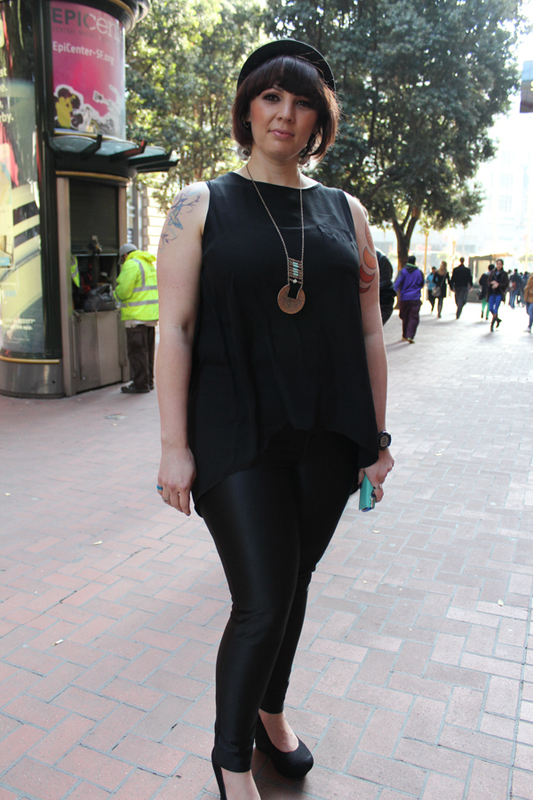 I always think people who work at the stores in downtown SF have a great sense of style. She works at a cosmetic store by Powell Station. Really pretty make up and cute in black. Love that hat! !